Conveniently located, V By concierge Hotel Shiva offers a pleasant stay to its guests. V By Vincca Hotel Shiva offers Wi-Fi access to its guests. 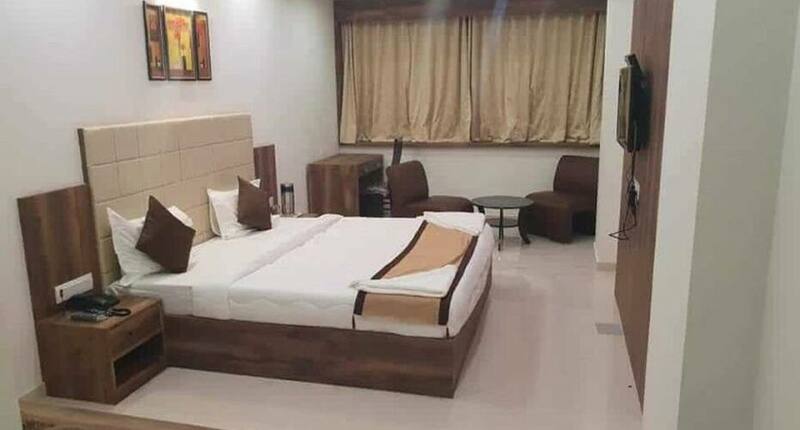 This hotel in Mundra is at a walking distance from the Agneshwar Mahadev's Temple. This hotel has 15 well-appointed rooms, spread across 2 floors. Wardrobe, television, desk, separate sitting area and attached bathroom are some of the conveniences offered in the room. V By Vincca Hotel Shiva provides various facilities that include front desk, business center, banquet hall, luggage storage, currency exchange and parking facility. Power backup, porter service, laundry, concierge and room service are also offered for the convenience of the guests. The hotel in Mundra is accessible via travel hub such as Bhadreshwar Railway Station (15 km). The closest airport to this property is Adani Airport (8 km). Some of the tourist attractions are Ambaji Dham (7 km) and Vachchhraj Dada Temple (9 km). Guest can dine-in at the restaurant, bar and coffee shop within the premises. What people love the most about this property is its great location and hospitality. Book now and enjoy world class services at V By Vincca Hotel Shiva. Full refund if you cancel this booking by 20-Apr-19 12:00 PM IST. No refund if you cancel this booking later than 20-Apr-19 12:00 PM IST.